Ever dream about catching an aligator? 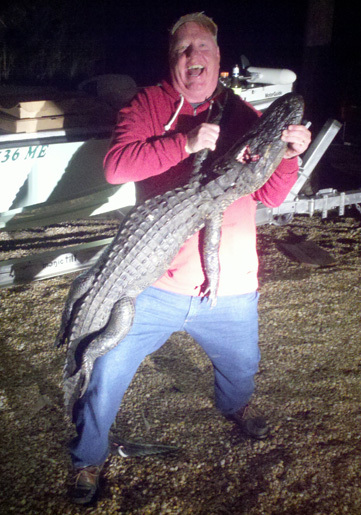 Aligator hunting is legal in Florida if you have a license. Licenses are limited. Season is limited. Contact Back Bay Xtremes if you are interested.